First, download and install Skanect on your Mac or Windows PC. Next, choose how you will transmit 3D data from your Structure Sensor to your Mac or Windows PC running Skanect. You can use the USB Hacker Cable to connect your Structure Sensor directly (however, you will only receive monochromatic scans), or you can connect your Structure Sensor to an Apple iPad to stream 3D data wirelessly. We recommend using a compatible Apple iPad to enable wireless streaming of 3D data with color textures. Before you begin: You’ll need a compatible Apple iPad. You’ll need to download the Structure app to your iPad from the App Store. If you want to enable color scanning, you will also need to download the Structure Sensor Calibrator app. Finally, you’ll need to make sure that your iPad and the Mac or PC you use for Skanect are on the same WiFi network. For best results, we recommend using a 5Ghz router and selecting a channel with little or no competing network traffic. If you want to enable color scanning, launch the Calibrator app on your iPad to calibrate your Structure Sensor with the iPad color camera. This step is only needed the first time, or if you detect that depth/color alignment is getting bad (e.g. after removing/reinserting the bracket several times, or if the bracket moved during transportation). 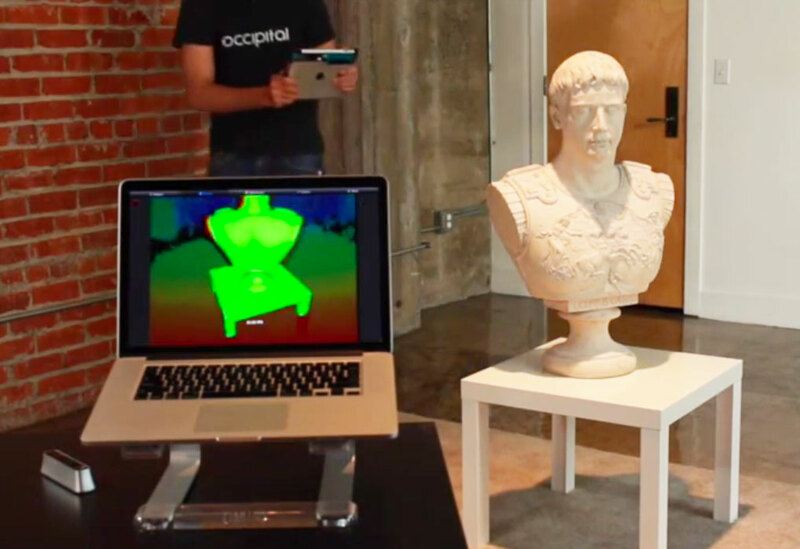 For more tips on 3D scanning using the Structure Sensor, visit http://structure.io/getstarted.